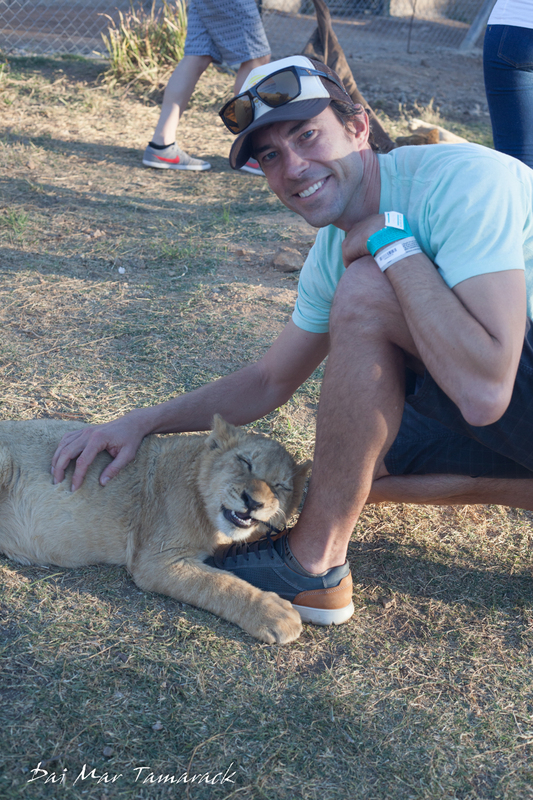 I have been waiting a long time to be able to play with a baby lion, and finally I found my chance. We had a one day layover in Johannesburg in between scuba diving Reunion Island and flying to Cape Town. My last time through Joburg I saw a flyer for a place just outside of town called the Lion Park which had some interesting activities. 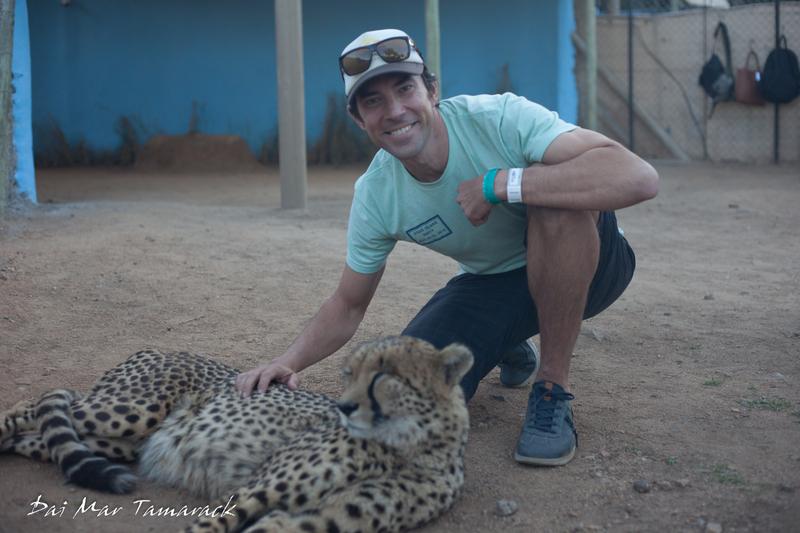 Walking with a cheetah was one thing that caught my eye. So with that in mind we drove out to the Lion Park straight after flying in. It is about an hour from the airport. When we got there I was quite pleased to see not only do they have lions and cheetahs but also a large pack of African wild dogs. 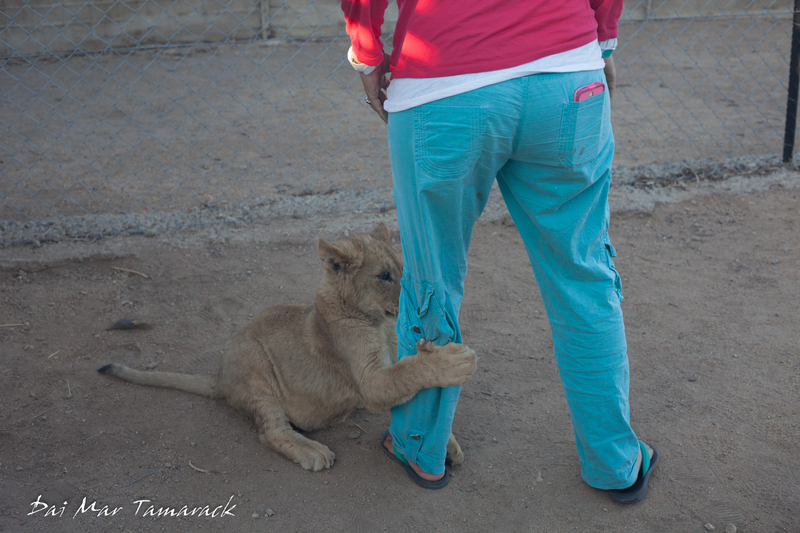 Plus next to the Cheetah encounter you could also buy a lion cub encounter. Heidi and I had walked with lions before down in Zambia near Victoria Falls but those cubs were already 1.5yrs old and quite large. 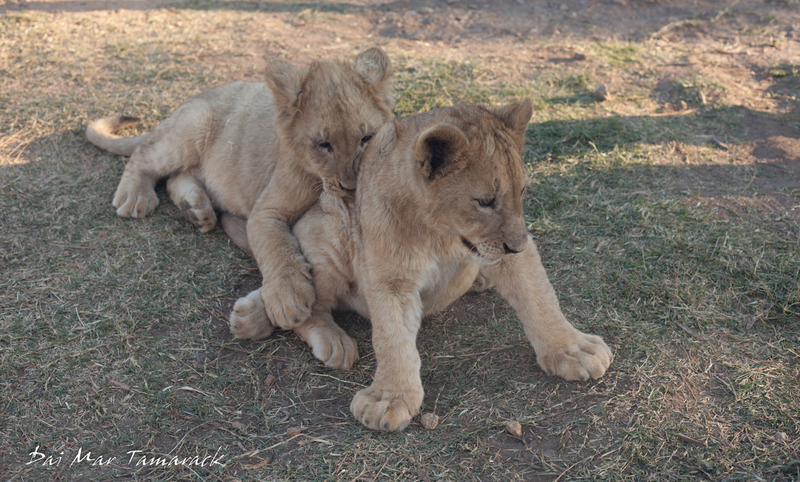 These cubs turned out to be about 9 weeks old and quite playful. In fact while we were in with them they tore a girls pant leg, chewed through my shoe lace, and pounced on me as my back was turned. It was amazing. 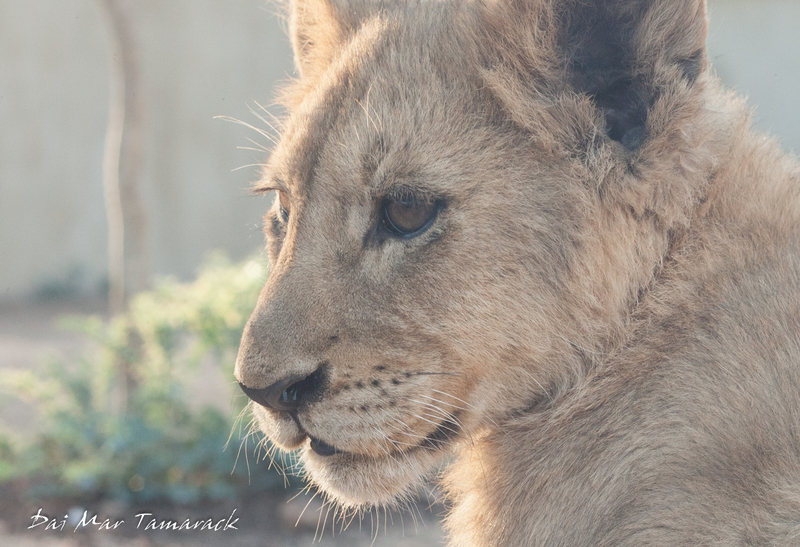 They were soft, energetic, and just like you would expect a baby lion to be. Right when we walked into the enclosure one of the lions was down in stalking behavior. 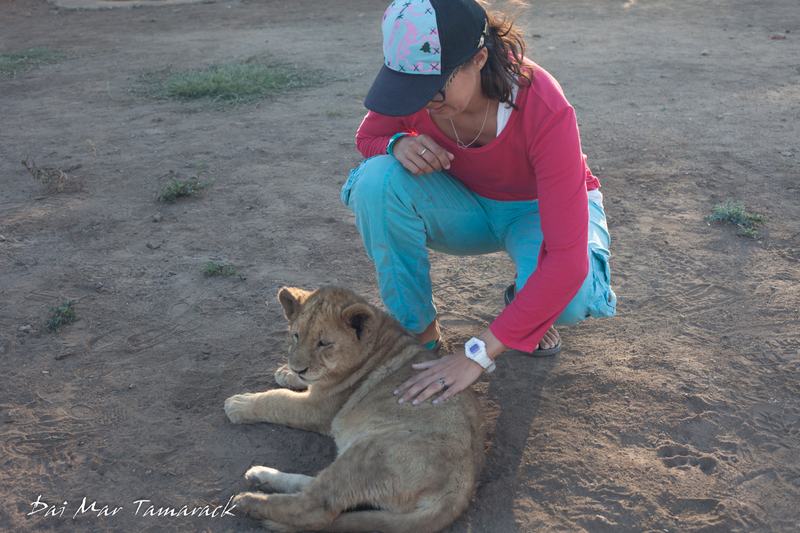 If you want to see the baby lion stalk and ambush me check out the video above. The cubs were so rambunctious that they stopped allowing small children in just before we stepped in. As it turns out that was a very good call on the part of the guide. 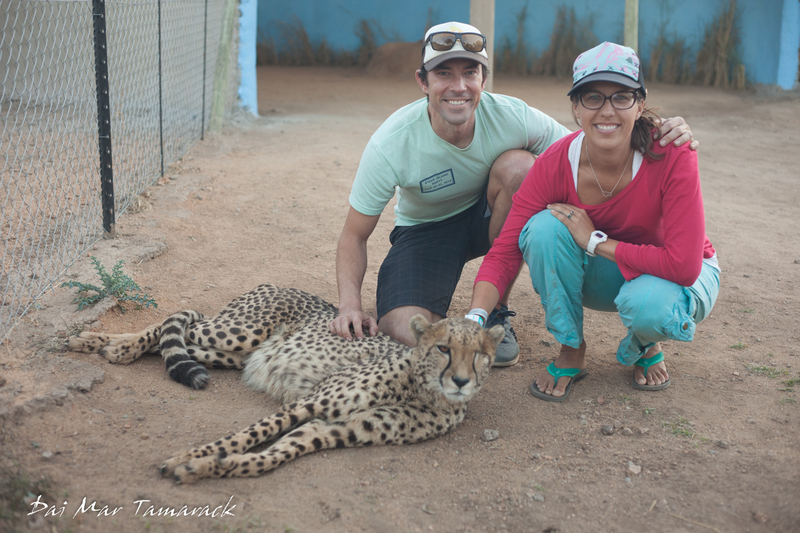 After an amazing time with the lions we went in with a beautiful Cheetah. These are quite elusive animals in the wild, and while I have had an opportunity to photograph them in the wild the encounters are few and far between. This is mostly due to their highly endangered status and declining numbers. 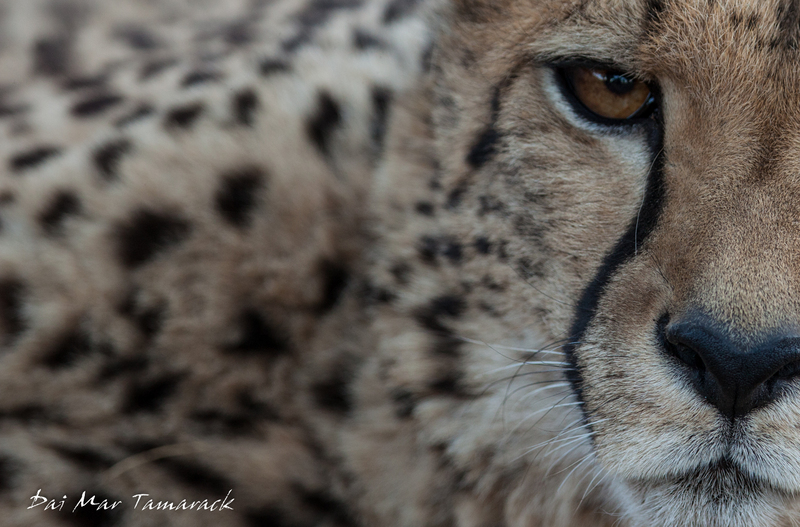 Scientists are worried about a genetic bottleneck with the cheetah species with so few numbers remaining in the wild. 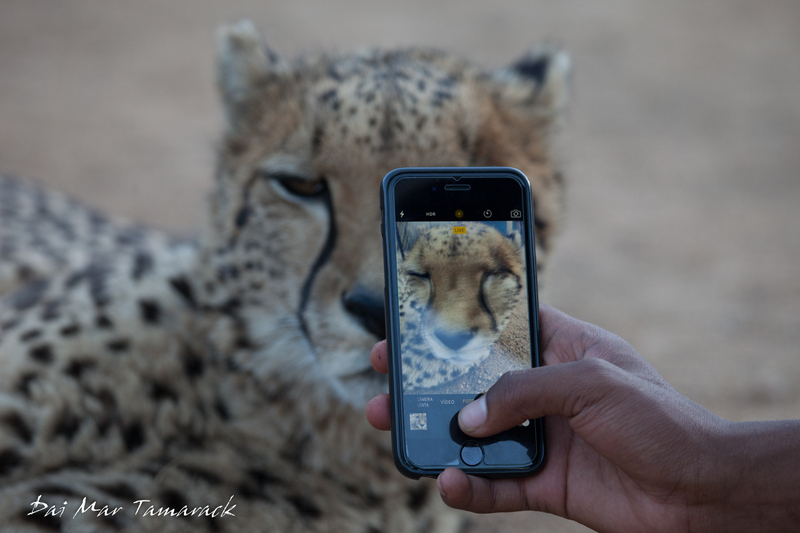 So not only was this my chance to photograph the finer details of this majestic animals but maybe for the only time in my life actually touch and feel a cheetah. There is something magical about the fastest land mammal that is hard to explain. And while it is always a little sad to see wild animals penned up, no matter how big the enclosure, there is something to be said about captive breeding of endangered animals as well as forming bonds with present and future conservationalists who will go on to protect those still in the wild.